The album of the Brazilian league 1991 is published by Abril and Panini, continuing the collaboration started the year before. The collection includes the 20 main clubs of Brazil. 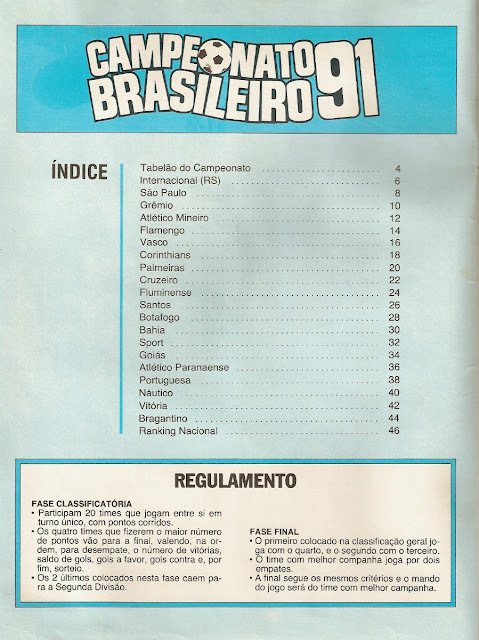 The albums starts with the table of contents, then the clubs are shown following the ranking order from the first position of International to the last of Bragantino. 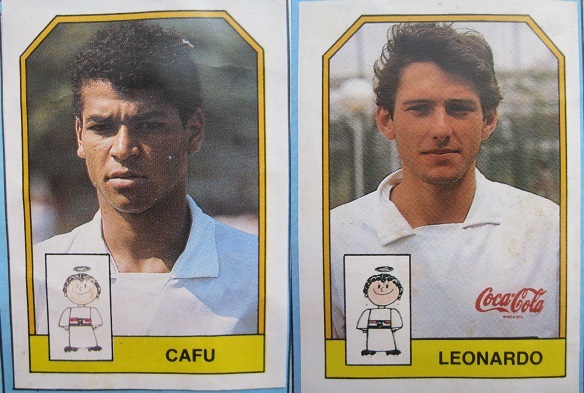 Each team is displaced over two pages with a total of 20 stickers: the club badge, the team photo, the mascot, the uniform, and 16 players. There are no other sections with stickers in this album.